ROGERS, Ark. – Michelle Wie shot her second straight 5-under 66 on Saturday to take a two-shot lead in the suspended second round of the NW Arkansas Championship. Coming off a victory Sunday in the U.S. Women’s Open at Pinehurst, Wie had six birdies and a bogey in her morning round at Pinnacle Country Club. So Yeon Ryu, paired with Wie, was second after her second straight 67. 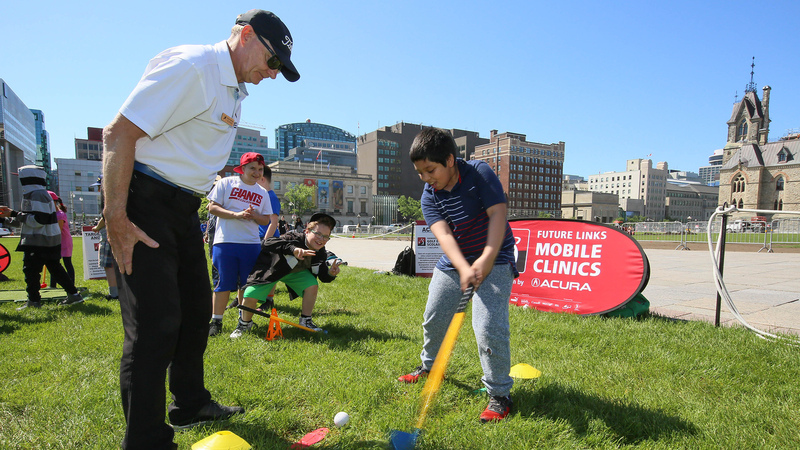 All 72 players in the afternoon session were unable to finish because of thunderstorms. Included in those players was opening-round leader Alena Sharp. The Hamilton, Ont. native was 2-over Saturday before rain was delayed, which saw her slip into a tied for 15th with three holes remaining. 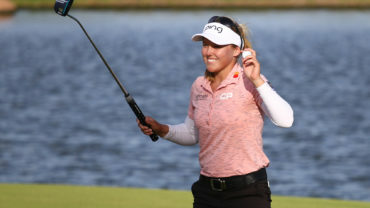 Suzann Pettersen, Chella Choi and Line Vedel were three strokes back, and top-ranked and local favorite Stacy Lewis was four shots behind at 6 under. Pettersen had a 67, Choi shot 65, and Vedel had five holes left. Lewis birdied four of her first eight holes and finished with a 12-foot birdie putt on No. 9 for a 67. First-round leader Alena Sharp was 4 under overall after 15 holes. Lewis made the early charge Saturday to close within a shot of Sharp, much to the delight of the pro-Arkansas crowd – where Lewis played collegiately. For the second straight day, however, Wie saved her best for the back. She jumped into contention with a 4-under 31 on the back nine on Friday. 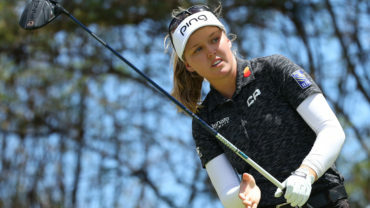 After teeing off on the back nine Saturday, she once again closed with a flurry – birdieing four of her final seven holes to shoot a 4-under 32 and surge into the lead. Wie put the finishing touch on her round – and quest for a second straight tournament victory – with a 3-foot birdie putt on No. 9. Wie held off Lewis by a shot to win her first major title in the U.S Women’s Open. Playing a group behind Lewis on Saturday, Wie bogeyed her second hole, No. 11, and recovered with a birdie on the par-5 14th. She followed that with a second straight birdie on a par 5, getting up and down off the fringe on No. 18 to reach 6 under. Her birdie spree followed on the front nine, with large galleries following both Lewis and Wie. 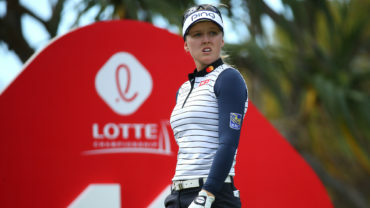 Lewis followed a sluggish first round in which she putted 31 times by needing only 24 putts on Saturday. 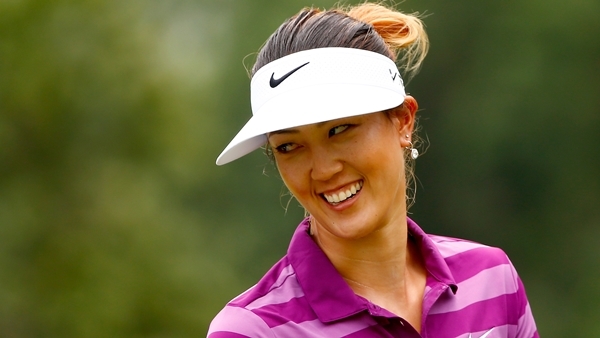 She stumbled with a bogey out of the greenside bunker on the par-3 fourth hole before recovering with birdies on No. 5 and 9. The players are expected to finish the second round early Sunday before the final round begins later in the morning.